Happy Chinese (Lunar) New Year! I did several CNY manicures this year and wanted to share them with you! This first one has a base using Butter London Two Fingered Salute. I painted a large square onto a Ziplock bag using Nicole By OPI NI 350 “He’s A Keeper” . When the red polish dried, i carefully peeled it off the plastic and cut it into small squares. 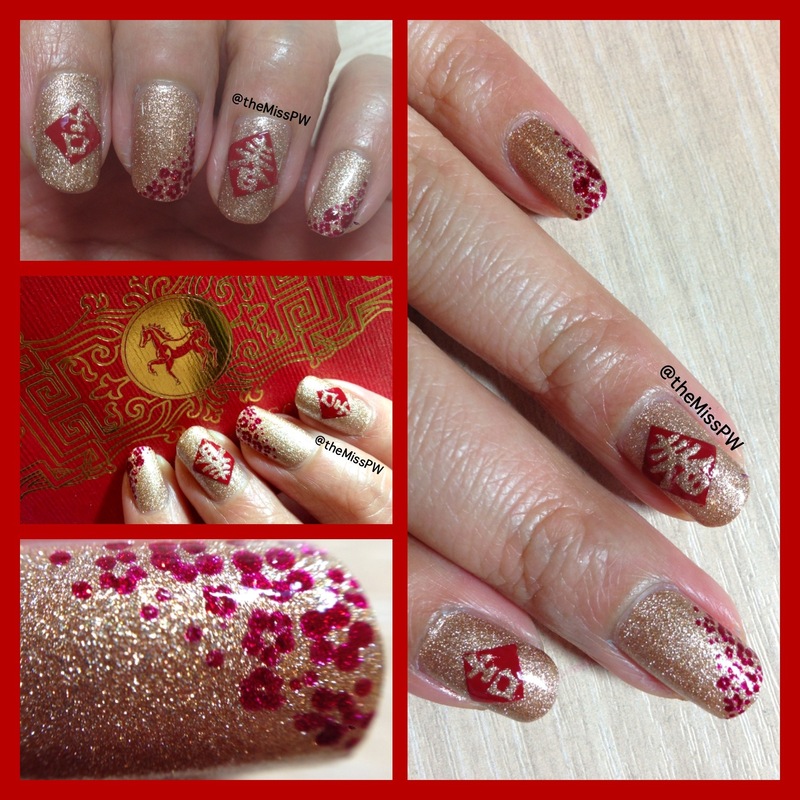 Finally, I drew different auspicious Chinese characters onto each square with a toothpick using OPI HLD07 “Goldeneye”. 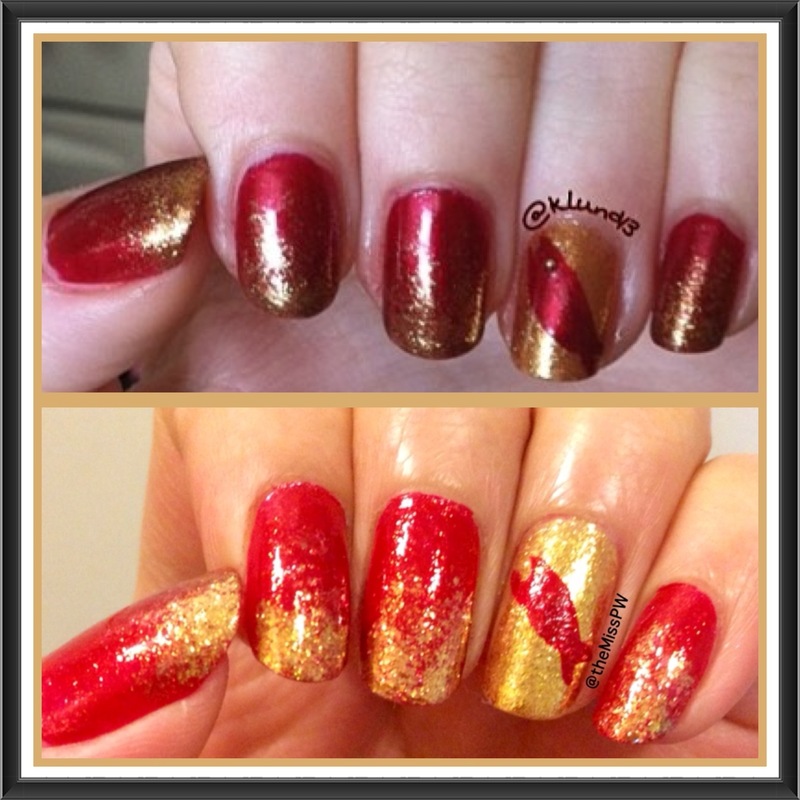 I did a collaboration #twinnail manicure with my new Instagram friend @klund13 and we did a red/gold gradient with a fish on the accent finger (ring finger). There is a saying in Mandarin that you can say to others to wish them a coming year of abundance and prosperity. The phrase contains a character that sounds like the word “fish”, so we refer to fish a lot during Chinese New Year! I also did a similar manicure to the first one I posted, but with a different color scheme and some dotted flowers. I like the look of this one quite a lot!!! I used an unnamed sparkly gold polish and the same Nicole By OPI “Reach Out”. 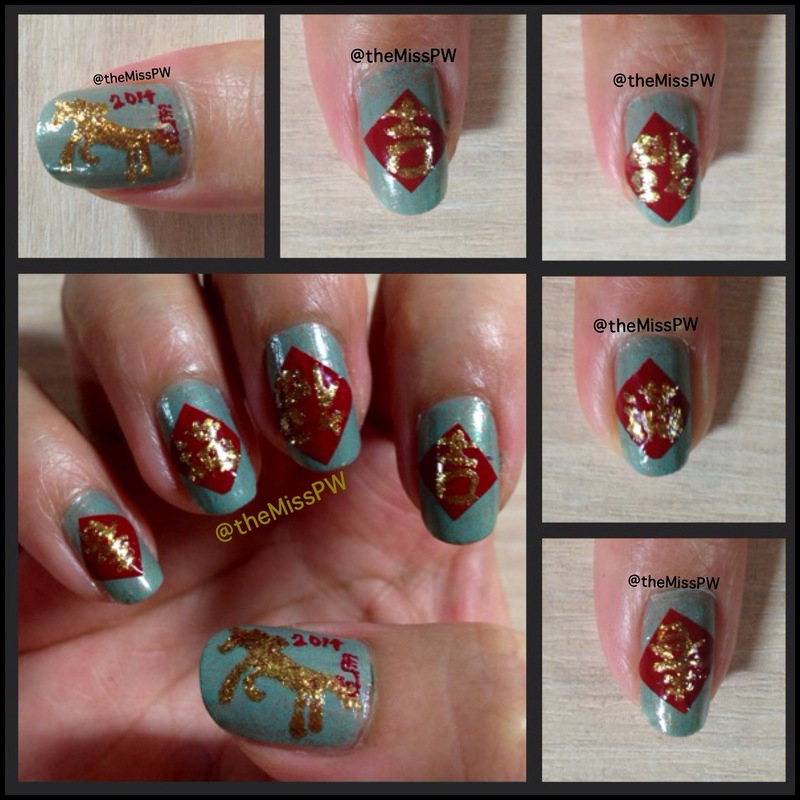 Categories: Manicures | Tags: #twinnails, CNY2014, Nail Art, NOPI, OPI | Permalink.